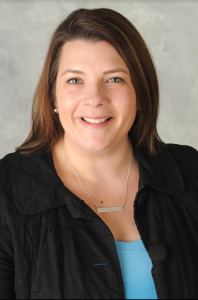 Melanie Booher is a proactive people connector, always looking to help and ideate around achieving meaningful change in the areas of HR, Operations, Leadership Development, Business Strategy and Culture-Shaping. 15-plus years leading people and HR functions (People Operations) within multiple white-collar/high tech industries. Key role in helping create an engaged culture and improved morale, which impacts retention, productivity, and profit! Melanie has a proven track record of helping small/mid-sized companies become a best place to work by utilizing a model called THRIVE: a gap analysis and focused initiatives that will improve company morale and profitability by helping leaders be more effective and reach their potential; cultivate talent, build teams, streamline processes, and shape culture. Melanie is a passionate and genuine leader who cares tremendously for people and helps us celebrate change as we drive towards a culture of success.